In light of the recent rash of coal-mine fatalities in our nation, please treat this matter with urgency. This urgent safety alert stems from comments made by students who were employees of a coal mine in Colorado. The comments arose while we were discussing proper lockout procedures for hydraulic systems. The specific nature of the lockout pertains to hydraulic systems, which have a central power unit, that supplies hydraulic power to two or more machines, which are connected in parallel. 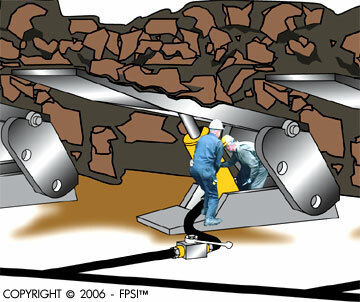 Longwall mining systems, which are popular in mines throughout the world, fit this profile exactly. Normally, when my students raise concerns regarding safety hazards, I do everything in my power to determine the merits of their concerns. My normal course of action is to move directly to the source, e.g. the machine manufacturer, engineer, etc., once I have personally analyzed the problem. I will hasten to add, that the machine manufacturers are not always willing to discuss the matter with me, and, in most cases, either decline to respond to my written or verbal communication, and/or dont treat the matter with the appropriate urgency  which, appears to have occurred, in this instance. Parker Hannifin Corporation, Mr. Morreiras, Senior Engineer. January 18, 2006 1) No response as of February 15, 2006. RESPONSE: Waiting for reply from Europe. DBT, Houston Office, e-mail (2). January 15, 2006 2) No response as of February 15, 2006. 3) MSHA  Mr. Bentley. 3) I received an e-mail from Mr. Bentley of MSHA in response to this issue (dated February 14, 2006). I thank him for taking the time to have his technical committee review my concerns. RESPONSE: Handed matter over to the mechanical division of MSHA's approval/certification center. Mr. Mike Dalpiaz, International Vice President. 4) No response as of February 15, 2006. 5) Fox News (Salt Lake City affiliate). 5) No response as of February 15, 2006. 6) The Salt Lake Tribune. 6) No response as of February 15, 2006. 7) Governor of West Virginia February 02, 2006 7) No response as of February 15, 2006. 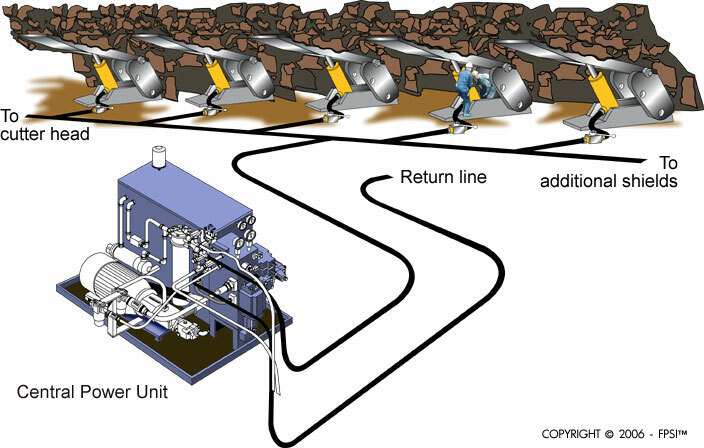 A longwall mining system is powered by hydraulics. A typical system consists of a central power unit, which supplies power to numerous shields. The number of shields in any given mine is usually determined by the width of the coal seam  there could conceivably be over 100 plus shields in operation at any given time. Here is an illustration of a typical longwall layout (Figure 1). When a miner is called upon to perform any type of work or service on a shield, the current, and what appears to be standard, procedure to lock a shield out (isolate it from the power source) is to shut off a single in-line, high-pressure, ball valve, which is accomplished by rotating a lever 90º. The typical working pressure of a longwall mining system is 5000 PSI and the combined pump flow can be as much as 300 GPM to 400 GPM. This illustration shows a close-up view of a typical lockout procedure for a longwall shield (Figure 2). This is a photograph (Figure 3) of an actual ball valve, which is typically used to lockout a shield in a longwall mining system (there are a number of manufacturers of this type of ball valve). Once the shield has been safely isolated from the 5000 PSI/400 GPM power source a miner enters the shield, and depending on the type of work or service, which he/she is performing, could be in a pinch-point location. This simply means that if the single shut-off valve (ball valve) should fail, the shield could actuate which could result in the miner suffering severe injury or death. Less than 1% of all hydraulic systems in existence comply with MSHAs or OSHAs standard for lockout with regards to de-energization and verification, this lockout offers an additional safety hazard. Once the shut-off valve is placed in the off (safe) position, it traps the downstream pressure, which can only be removed by discharging it to atmosphere (this problem is inherent in over 99% of hydraulic systems). 3) Eye loss or injury. "Fail-Safe: Hose, and hose assemblies and Fittings can and do fail without warning for many reasons. Design all systems and equipment in a fail-safe mode, so that failure of the Hose or Hose Assembly or Fitting will not endanger persons or property." Based upon the facts before me, and, my knowledge of hydraulic safety, I have no alternative but to conclude that there is an inherent safety problem with the current lockout system employed on longwall mining systems, and, any other mechanism which fits this profile. Ball valves are specifically designed for shutting a hydraulic transmission line off. To my knowledge, they were never intended to be used as "safety devices," with the exception of those which a manufacturer specifically states as "failsafe." To my knowledge there is no manufacturer who makes this claim. UNTIL SUCH TIME AS PARKER HANNIFIN CORPORATION, AND OTHER LOCK-OUT VALVE MANUFACTURERS, PROVIDE WRITTEN CERTIFICATION THAT THEIR PRODUCTS ARE INDEED FAIL-SAFE DO NOT ENTER A PINCHPOINT AREA IN A LONGWALL SHIELD, OR ANY OTHER MECHANISM IN A LONGWALL SYSTEM WHICH IS LOCKED OUT WITH A BALL VALVE UNLESS THE BALL VALVES ARE IN A BLOCK-AND-BLEED FORMATION. FAILURE TO HEED THIS WARNING COULD RESULT IN SEVERE INJURY OR DEATH SHOULD THE MECHANISM START-UP UNEXPECTEDLY." Please be advised that I am in no way asserting that I am knowledgeable in longwall mining methods, or longwall mining systems. My opinions are based on my expertise in hydraulic safety, and from information which I received from various sources. However, I reserve the right to alter my opinions should additional information regarding this matter, become available. If you have any comment regarding this issue, please contact me at 801-908-5456 or fill out our action form here - Your comments are welcome.